We are happy to announce the release of our newest online service manual for the 2010 to 2012 Suzuki RM-Z 250 motorcycles. This manual features full color photos and wiring diagrams with step-by-step service procedures and factory specifications. Need to rebuild your top-end, troubleshoot your fuel injection system, or change your fork oil? Cyclepedia.com has you covered. The manual is available as a one year or lifetime subscription, and it is automatically included with our Cyclepedia PRO subscription. Like all Cyclepedia.com online manuals, tech support is included with a subscription. If you have any questions about using the manual or servicing and repairing your Suzuki RM-Z250 dirt bike we are here to help and have an experienced Suzuki technician on staff. For the full list of Cyclepedia.com Online Manuals for Suzuki motorcycles, ATVs and Scooters check out the Suzuki Manuals Page. 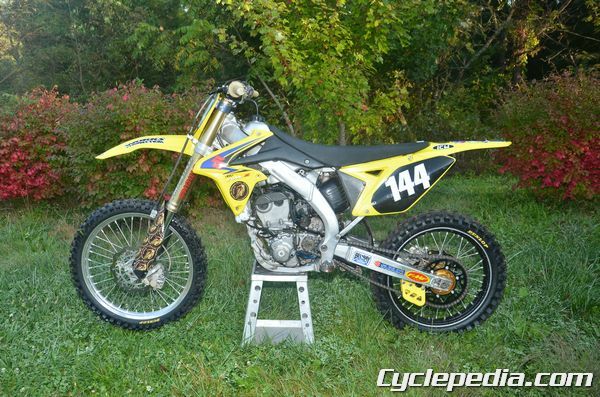 The RM-Z250 featured in our service manual lived a hard life in the hands of a local racer. It served faithfully throughout long hours of practice and hard racing. 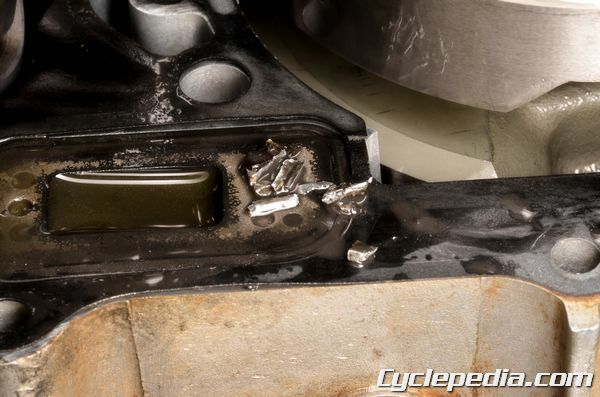 A broken clutch plate created debris in the oil that could lead to major problems if left to bounce around inside the high performance 4-stroke. The engine was totally disassembled and cleaned up to remove all of the clutch contamination. While the crankcases were split, the engine was freshened up with a new crankshaft and crank bearings. The engine went from a ticking time bomb to ready for more hard hours. High performance machines have short maintenance intervals for a reason. The periodic maintenance chart for this Suzuki RM-Z 250 motorcycle, included in the online manual, calls for the piston to be replaced every 6 races or 12 hrs of running. 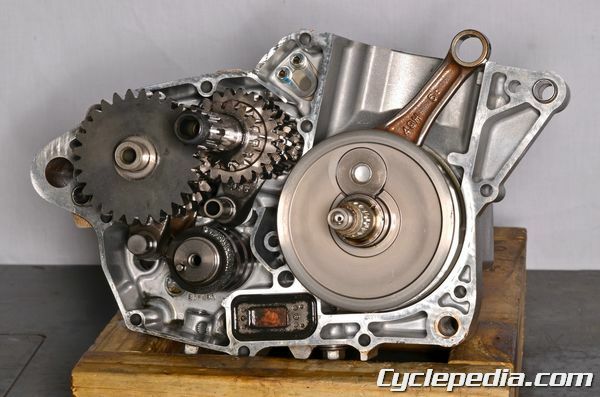 If you ride your motorcycle or ATV hard take care of it with a Cyclepedia.com online manual subscription. Don’t let your equipment slowly deteriorate until an expensive major failure occurs. Stay on top of the maintenance requirements and keep your machine running strong for the long run.